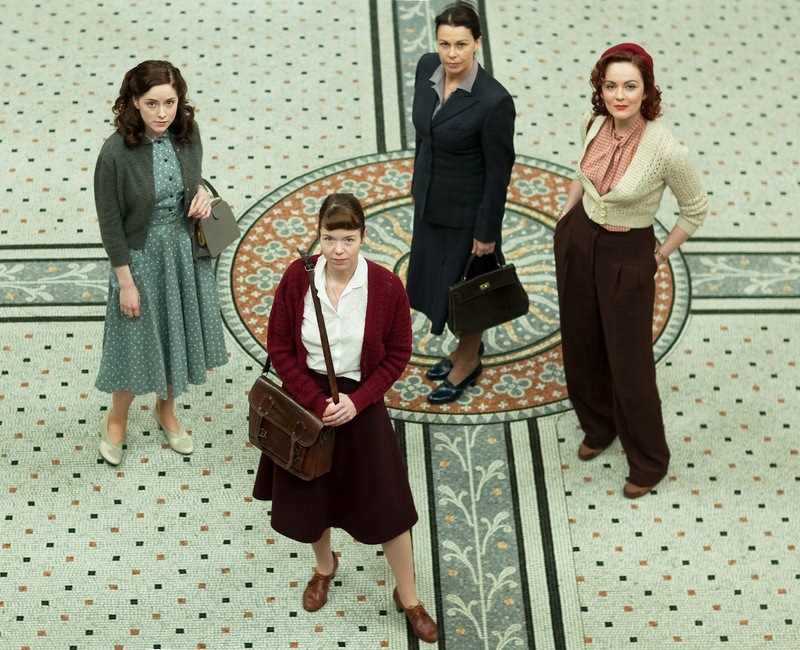 The Bletchley Circle is an enormously popular British miniseries about four women who worked as codebreakers in World War II in Bletchley Park outside London and who are able to put their skills and training to good use after the war to track down criminals outside police channels. In the first season, which premiered in the U.S. in 2013, the four women went after a serial killer after picking up what the police had missed – the hidden pattern of the killings. Like many popular films, its interest is sociological as much as dramatic, for such films are popular precisely because they strike a responsive chord in the viewing audience. In the case of The Bletchley Circle, the chord is the patronizing dismissal by the police of the theories of the women about the identity and modus operandi of the serial killer, which of course turn out to be correct. This is a distinct subgenre in popular filmmaking, one that taps into the universal resentment of authority among ordinary people and their feelings of satisfaction when one of their own shows the authorities up. As such, it is related to films that feature an invincible hero who overcomes the forces of evil, which feed off the same feelings of resentment and inadequacy in the viewing audience. In both genres the protagonist is a surrogate figure through which the viewer lives vicariously. It is not specifically the police that we resent, of course. It is anyone who has the power to tell us what to do, to bully us, dismiss us, or deny our requests – anyone, in a word, who reminds us of our insignificance and helplessness in the larger scheme of things. Popular filmmakers help us get back at them. They understand intuitively what people respond to, without ever giving the game away in any explicit way. It is also interesting to note that the series is equally popular in two very different kinds of societies – a class society like Britain’s with its tradition of compliance and an egalitarian society like America’s with its tradition of defiance. Both obviously breed resentment – totally repressed in Britain, where the idea or value of knowing your place lingers on despite the democratization of the country and very near the surface in America, where ordinary people quickly learn to recognize the enormous distance that separates them from “successful” people. In America, people are also given to understand that they have no one to blame for their failures but themselves. Therefore, like advertisers, the film industry exploits the vulnerability of its audience, though the former acts cynically while the latter acts intuitively. Both therefore thrive on manipulation by speaking directly to our unconscious minds. In the West, this has by and large replaced outright physical exploitation as the most effective way to make money. Fred Russell is the pen name of an American-born writer living in Israel. His novels Rafi’s World (Fomite Press), dealing with Israel’s emerging criminal class, and The Links in the Chain (CCLaP), a thriller set in New York with an Arab-Israel background, were both published in 2014. His stories and essays have appeared in Third Coast, Polluto, Fiction on the Web, Wilderness House Literary Review, Ontologica, Unlikely Stories: Episode 4, Gadfly, Cultural Weekly, Ragazine, In Parenthesis, etc. This entry was posted in Archive, Critical Essays, Featured - Homepage, Reviewed, Talk. Bookmark the permalink.